A Shropshire solicitor who specialises in working with elderly people has issued guidance about how to draw up a vital legal document. Fiona Barnes, a partner with Shrewsbury-based Wace Morgan Solicitors, is urging people to seek professional help when compiling a Lasting Power of Attorney (LPA). 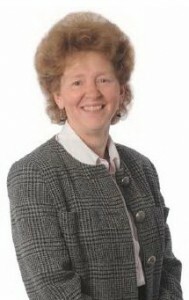 “An LPA is a powerful legal document that allows a person to appoint trusted individuals to make important decisions about care and finances on their behalf, in the event of a loss of mental capacity through an accident or illness such as dementia,” explains Fiona, who is a member of the Solicitors for the Elderly organisation. “There are some people who feel that legal documents can now be downloaded from the internet and completed at home, without the need or cost of professional guidance. “However, by creating a ‘DIY’ Lasting Power of Attorney there is a risk of creating a document that does not adequately express your wishes and preferences, possibly leaving you with something that is not fit for purpose,” Fiona warned. Solicitors for the Elderly have launched a campaign to encourage people to seek help from a solicitor when creating a Lasting Power of Attorney and have published a report which states that this is the most effective, safe and legally-robust option. Fiona stressed: “The benefit of using a do-it-yourself document over consulting a solicitor is primarily financial, as this method is cheaper in the short-term but thousands of applications for LPAs to be registered are rejected each year due to errors. “However, we are also concerned that people creating ‘bargain-bucket’ LPAs without taking specialist legal advice are potentially exposing themselves to unacceptable levels of risk and in doing so may compromise the safeguards that these documents should provide for the most vulnerable. “It is always safer to talk to a qualified solicitor who is experienced in this vital area of the law,” she added.